LABM is the number one resource for local authority and housing association specifiers involved in the construction, refurbishment and maintenance of public sector stock, from housing, to schools and healthcare, leisure and public buildings. Since the magazine first launched back in 1985, it has been the leading information resource for the sector and always quick to respond to any new developments taking place. 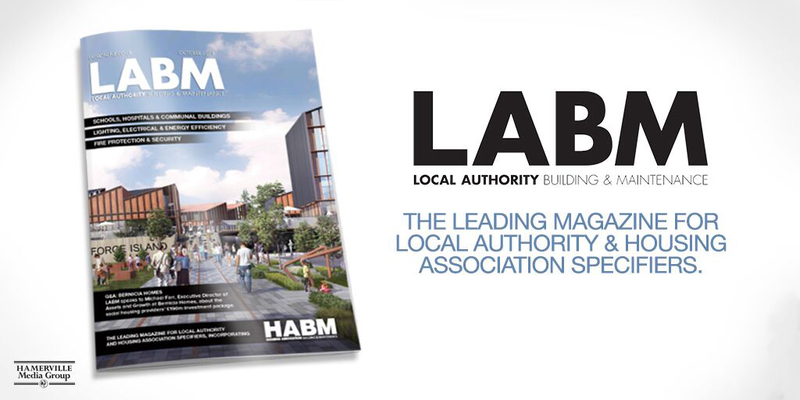 Originally, LABM’s main area of focus was on local authorities, however the magazine has now extended its reach to housing associations to offer a much wider, more in-depth coverage of the construction and maintenance of the entire social housing and public buildings sector. Local authorities are responsible for 2.1 million council-owned and maintained homes in the UK, as well as schools, leisure centres, hospitals and public buildings, whilst there are more than 2.7 million homes under housing association control. LABM’s monthly features reflect this diversity and are designed to help councils and housing associations meet the ongoing challenges they face in ensuring these properties are not only sustainable, but modern, safe, secure, and also, achieve best value. LABM delivers focused editorial covering council, ALMO and housing association projects, market activity reports, industry issues, news, views and opinion, plus best practice advice on Building Regulation compliance and problem solving technical articles, in addition to all the latest product innovations. Our readers include housing and maintenance managers, surveyors, main contractors, SME contractors, architects, plus education and healthcare authorities and those involved with development and planning. The magazine is Audit Bureau of Circulation (ABC) audited. LABM is free to anyone involved in the specification of building products for local authority and housing association construction and maintenance projects.